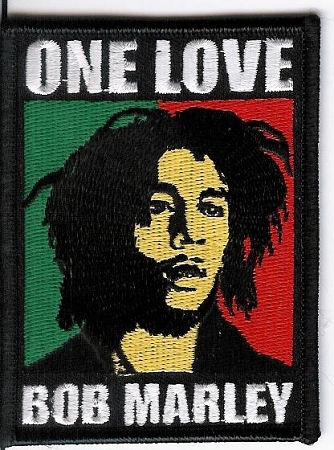 Bob Marley One Love patch measures approximate 2.5" x 3.5". Best if sewn on, but can be ironed on too. Officially licensed Bob Marley merchandise.